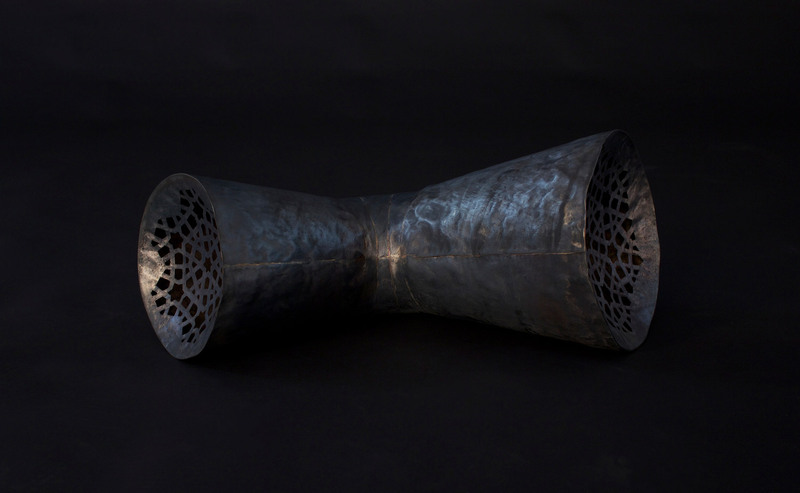 Rhythms of The Ritualistic by Shireen Taweel is an exhibition of sculptural works made from sheet copper. The show explores the transitional state of the object intended for the afterlife to the shift in its nature once placed in the museum context as an object of antiquity. The works propose to create dialogue between society’s need for material possession through the sense of a changed nature of the sacred object intended for the afterlife. By emphasising the process of traditional object-making in abstract forms, Taweel addresses the relationship between sacred objects, antiquity, and our desire for consumer goods, seeking to question their process of transition. 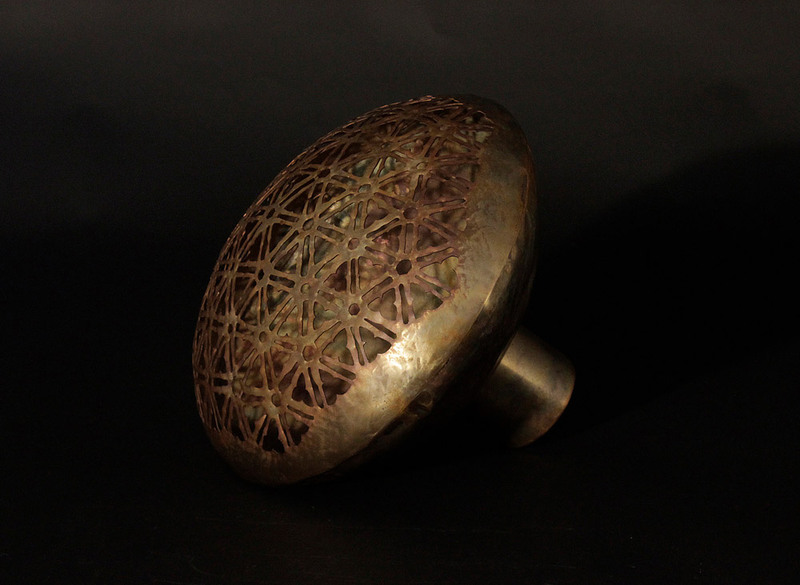 As the nature of the work takes on the sense of the arcane through Taweel’s process making with sheet copper, the sculptures sit in a space between today's notions of instantaneous possession and the slow refined processing of the hand made. 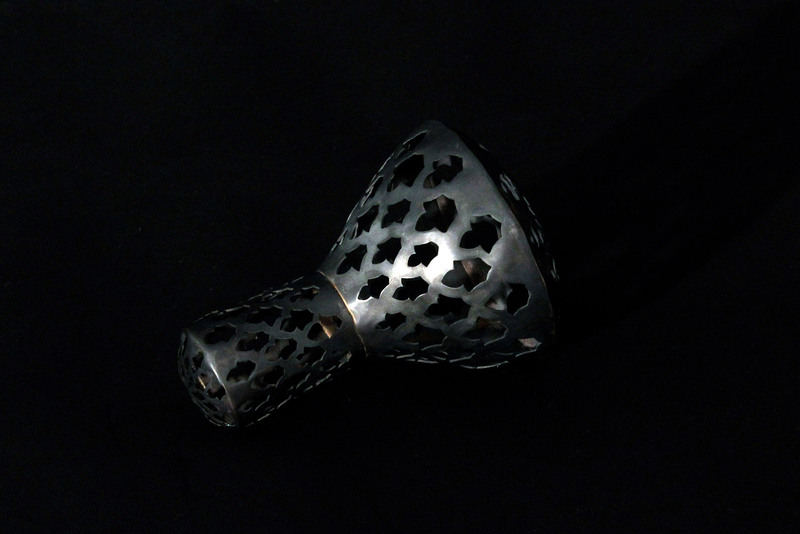 Taweel’s sources of influence are from her own cultural heritage within the Islamic Decorative Arts as a source of reference and inspiration in the development of forms, and in the application of decorative techniques and consideration of sacred objects. The sculptures blur the line of where the objects derive from culturally and aspire to simulate these notions between eastern and western contemporary culture around possession. Rhythms of The Ritualistic stirs an open-ended consideration to our past and present cultural values in regards to the sacred and the significance we place on material goods as a culture of consumption.